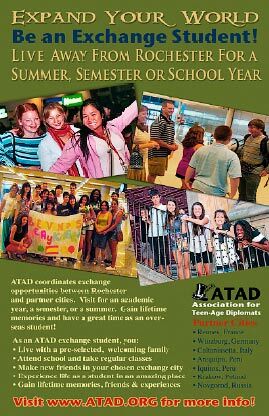 The Association for Teen-Age Diplomats (ATAD) is a non-profit organization founded in 1951 to promote understanding, friendship, and goodwill through cultural international exchange between teenage students to and from Rochester, NY. We believe that the best way to eliminate fear and prejudice is to experience cultures, languages, and customs of differing people by living with them. ATAD primarily focuses on the education of participating students, volunteer host families, and the local community. It is our hope that our efforts contribute to a more prosperous, democratic, and peaceful world. ATAD is officially recognized by the United States Department of State and is approved by the Council on Standards for International Educational Travel (CSIET). ATAD is an entirely volunteer organization. Many members of the organization have had their own children in the program, have been host families, or have been an exchange student themselves. 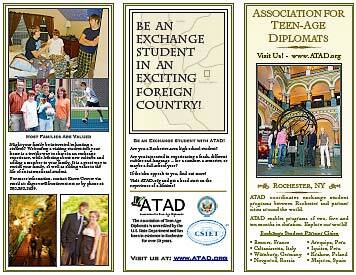 ATAD coordinates the placement of exchange students to and from the Rochester, NY area. The “sister” cities and partner cities of our program are: Rennes, France | Würzburg, Germany | Caltanissetta, Italy | Bamako, Mali | Arequipa, Peru | Iquitos, Peru | Krakow, Poland | Novgorod, Russia | Majorca, Spain. 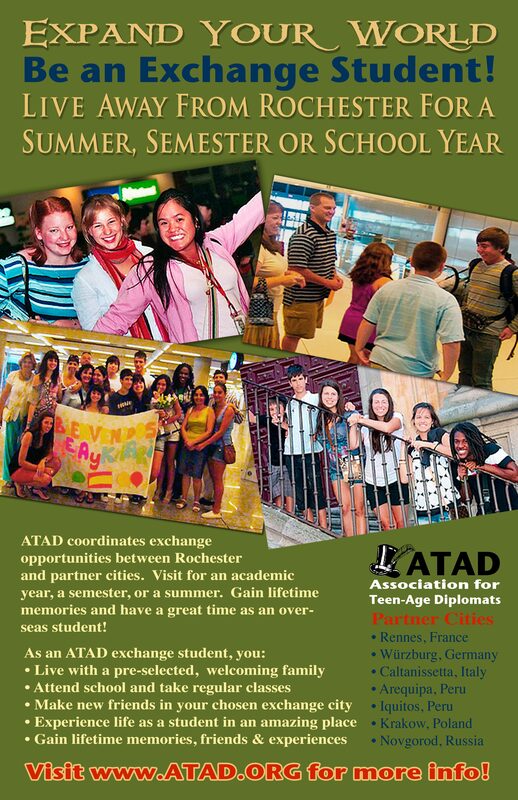 ATAD has a network of Liaisons in each city who coordinate placement of Americans Overseas and recruitment of International Students coming to the USA. International Liaisons and their US counterparts engage and communicate with the students and families to assure a rewarding experience for all.